"It will be a descent into madness..."
Nintendo Switch has its fair share of platformers, shoot-em-ups and retro fighting games, but it's taken a while for the grisly realm of horror to finally make its gruesome home on the handheld platform. 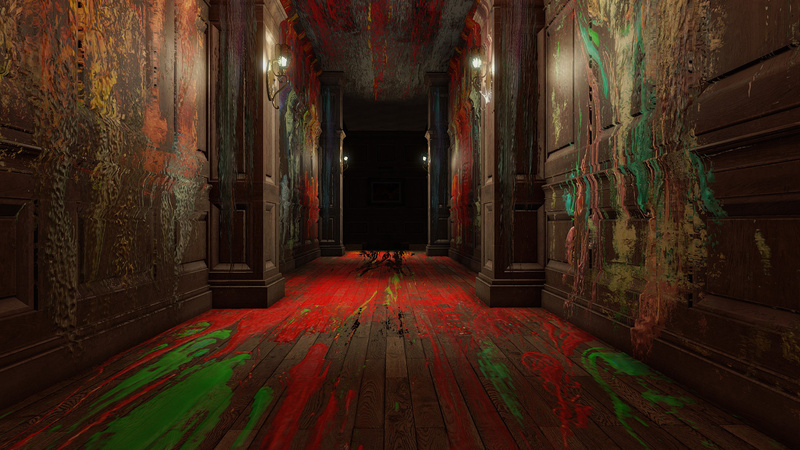 Layers Of Fear: Legacy is one of the first to make horror portable, with its unique mixture of first-person exploration and psychological fear doubling down in its potency on Switch. When did development on the Switch version of Layers of Fear start? We started slowly working on the project at the beginning of 2017, however, the workload increased around the middle of the year. When was the decision made to bring it to Switch? Probably the moment we heard about the console itself. How was the development process? I’d love to say that it was easy, but we had our share of problems. Because of the technical specs of Nintendo Switch, primarily the memory available, we had to do a lot of acrobatics to bring LOF:L to a steady frame rate count. Out-of-memory crashes were a nightmare for a few weeks for us, but slowly we managed to get rid of all of the problems while retaining high-quality visuals. All-in-all it was a really fun ride and we’re super hyped for the upcoming launch of the game. How has your relationship with Nintendo been? Frankly speaking, it was, and still is, great! We received a ton of help and support from the teams in all of the regions. LOF:L is our first game for Switch and a new game for a Nintendo system in a long time - obviously we needed some guidance, but support was always a single email away. It is a pleasure working with them and we hope to sustain that relationship for a long time. What was your interest and exposure to the rumours of the NX? Our CEO is one of the biggest Nintendo fans I know – back in the day he was one of a few people responsible for gathering Nintendo fans from Poland, a country where the Japanese company almost didn’t exist sales-wise, so of course we looked closely to what Nintendo was bringing to the table. The first rumours about NX fired up our imagination of the potential of the system and we knew back then that we would love to make an appearance on the platform. How has Nintendo Switch been received in Poland? I guess it’s a bitter-sweet story, Nintendo has never been ‘a thing’ here. The majority of gamers grew up on PC gaming and the first PlayStation system. Older players often chose Amiga or Atari as the platform to play on, furthermore, we never had a NES or SNES officially on our market, so Nintendo was at a disadvantage when it came to promoting their platforms to new generations of customers. Unfortunately, this is still the reality, at least to some extent - when Switch launched in Europe, Poland was one of only a few countries, where the stock lasted on the shelves. With the success of the console more and more people tend to buy it and there is yet hope to grow as big as the recent renaissance that could have been observed in Russia. What adjustments or additions have been made to Switch Legacy version? The game was redesigned to fully embrace the capabilities of the Nintendo Switch system. The game will be playable both in docked and undocked modes, and will support HD Rumble and even the touchscreen if you’re using the console as a handheld. Gyroscopes and accelerometers have done wonders for us in terms of adding an additional layer of immersion into the game, giving us a more tactile way of showcasing gameplay. We’ve also made the Inheritance DLC a part of Legacy as well, so you’ll be able to enjoy the whole experience in one package. Wow, can I write an essay on the topic? But in all seriousness, horror is one of the more open genres out there. We can mix everything into it: fantasy, sci-fi, classic art and it still will make sense. The creative freedom that horror gives us is immense and we want to explore it to its fullest! There’s also an additional reason here - horror in gaming for years have been diminished into the survival subgenre only, very few developers tried to do things differently. We want to change that. Look at cinematography - there are all kinds of different types of horror films, from gore slashers to psychological movies. We want that diversity to be present in the video game industry as well. 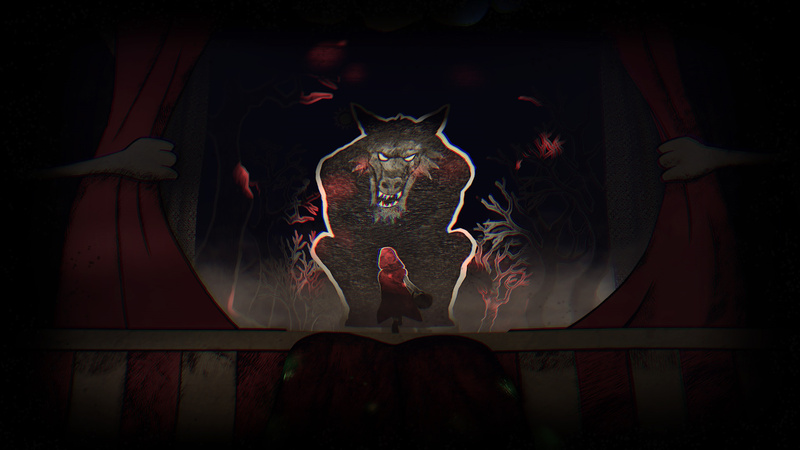 We aim to create immersive psychological horror games, focused on environmental storytelling and a thick, dark atmosphere that will scare the hell out of people. Scientific studies prove that we as people are most afraid of the unknown, and messing with the players’ expectations is what we do best. What is the story of the game? 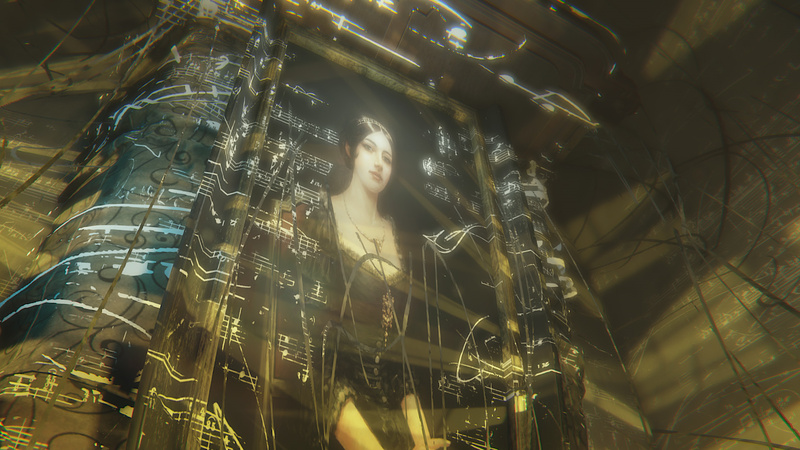 Without venturing into the ‘Warning, Spoiler Alert!’ section, the game is about a once successful painter, who after a series of tragedies has only one goal ahead of him – create a Magnum Opus – a masterwork painting. The player will follow his creative journey, but it won’t be another episode of The Joy Of Painting by Bob Ross, it will be a descent into madness and a story about making a choice between career and a family life. LOF:L will be a psychedelic wild ride through a dark narrative, where every move of the camera might change the players’ surroundings. What works of popular culture or personal experiences influenced it? We had two main influences: The Picture Of Dorian Gray by Oscar Wilde and a whole bunch of dark and gritty classic paintings from the past centuries: from the art of ugliness movement, to the work of Goya, van Eick and others. These might not necessarily sum up pop culture, but they definitely do wonders to the atmosphere and issues presented in the game. Obviously, we don’t live in a vacuum, so a lot of the modern films, books and games found their way into Layers of Fear - Amnesia, P.T., works of Edgar Alan Poe, King, Carpenter, Koontz – we work as a team, so mentioning everything that inspired us would probably take at least a few full articles to cover. How do the gameplay elements and the story play off each other? You learn the story by exploring the ever-changing mansion, gathering clues and investigating items. It’s a wild ride through a deranged mind focused on attaining perfection, but the story itself has a deep and dark ring to it. I don’t want to go into the spoiler area, but I’ll say that taking the time to learn it and then process it, might give you a fresh perspective even on your own real life. Obviously, LOF:L couldn’t be a horror game without a kind of a threat, but we approached this aspect differently – succumbing to the foe doesn’t mean you’ll get a game over screen, the mechanic is strictly connected to the story that branches out to three distinctive endings and every decision you make leads you to one of them, not necessarily a positive one. That’s our goal. We want our games to talk about something meaningful, to be more than pure fun for those players who take the time to ponder on the stories we tell. Horror has always been a means to keep social tensions in check; to face our fears, so we can handle the reality of life. We want to take this aspect to the next level, so we decided to follow two rules, when creating new games. First and foremost, the game needs to have a subject, one psychological or philosophical in nature to jump-start a meaningful discussion. It also needs to not only relieve people of their tensions, but also make them think about the issues presented in the game and compare them to their own worldviews and lives. Throughout our work we often present dilemmas, hard choices and issues that have no right or wrong answers to them, this way we can make people start discussing the real world that surrounds them. How has the creative process started each time? With chaos! The chaos of ideas, references, plot twists… I’d say that it always starts with one particular concept, be it an idea for a plot or a single mechanic, stirring up our imagination enough so that the brainstorms can follow. What were your favourite horror movies/games growing up? Let’s start with games, I actually have a pretty unorthodox title to mention here: Diablo. Not because it was a scary horror game in itself, but the audio in the game… let’s say that I have been hearing the Khazra each time I wanted to get some sleep for many long weeks as a pre-teen kid. The other title was the Phantasmagoria games that I remember watching while my older brother played them. I have one particular horror/ thriller that I adore for its concept – The Others, written and directed by Alejandro Amenábar. For some reason, I always preferred the mystery horror thrillers above the gore/funny flicks, which probably is the reason why now I’m part of Bloober Team, co-creating psychological horror games. What were your favourite Nintendo games growing up? Sorted chronologically it would be Donkey Kong, which I played on my now-dead Atari, from which I moved to the The Legend Of Zelda: A Link To The Past and then the whole Zelda series as a whole. The most influential title for me would have to be The Legend Of Zelda: The Wind Waker, which I treat as an unbeatable masterpiece of gaming to this date. I also have a special place in my heart for Star Fox and the Pikmin series. The last, but not least, would be The World Ends With You published by Square Enix, but I don’t know if it counts to the list. How do you think horror as a genre is approached differently in Europe, America and Asia? It’s all heavily rooted in our cultures. Based on myths, national and racial history, to how societies and religions changed and mixed. We just have different expectations of what we should be afraid of, but also what we like and enjoy. That’s why ghosts in Western societies are most often connected to one place or item that they haunt, which is the opposite of Asian cultures that tell stories of free roaming spirits. How well do you think horror has been represented on Nintendo platforms? It’s not that Nintendo had a whole lot of horror games on their platforms, but when they did… boy, talk about quality! From Sweet Home, released in Asia for Famicom, through Clock Tower (Super Famicom), to Eternal Darkness: Sanity's Requiem exclusively published on GameCube. Even Luigi’s Mansion, a horror-esque take on Ghostbusters proves that Nintendo had ideas for how to present horror in style on their platforms. We’re extremely happy that we can be among those titles with our launch of LOF:L for Nintendo Switch. Which horror games (especially on Nintendo platforms) are you fans of? I think most of us in the office, when it comes to Nintendo systems, would agree that Eternal Darkness was a defining horror for a lot of us, with Resident Evil 4 and Resident Evil Zero as strong runner-ups. If we go beyond the Big N’s platforms we must mention Silent Hill 2, P.T., Amnesia, maybe Forbidden Siren, Phantasmagoria, Alone In The Dark and so many, many more. Most of the people here in Bloober Team almost breathe horror, so it’s an impossible task to name all of the titles. What features of Nintendo Switch suit the horror genre and your games in particular? Probably the ability to take the console with us to a dark basement! *laughs* The capabilities of Joy-Cons and HD Rumble make a world of difference when it comes to tactile senses and I think a lot of horror games will benefit from those technologies. We would like to thank Rafal for his time. 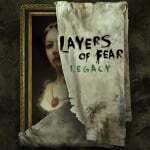 Layers Of Fear: Legacy will be available for the Nintendo Switch in Q1 2018. Looks too scary for me. I'll try it. Not gonna lie. 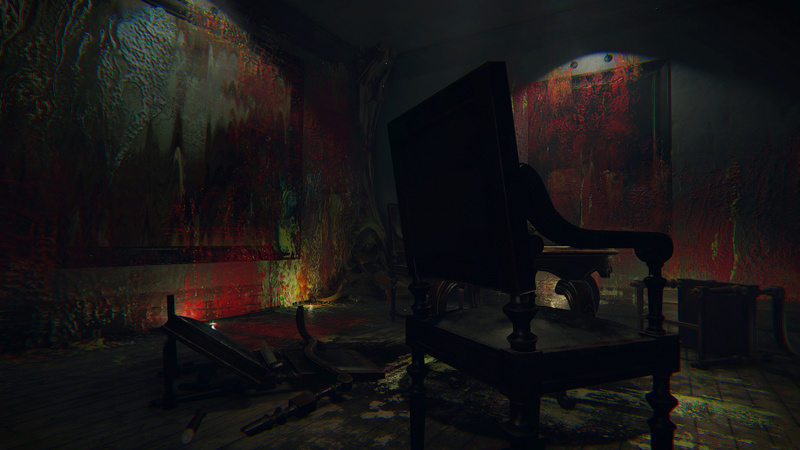 Wish the game was called "Layers Of Fear: Legacy's Bloober" after reading this. I've been flirting with this game (and many other) on Steam, and now that they are coming for the Switch I guess it is time to give them a try. What's even scarier is the site getting a few stories over the weekend. Hope this turns out well. I'm always down for a good horror game. I thought Bloober team only did bad games...but I heard this game is very good?! The question is... will they ever release Sadness? @Blueberry that game died years ago, but yet everyone keeps mentioning it lately. I’ve used to wonder what ever happened to it. Has anyone played this game yet? Is it good? Excited that we're starting to get good horror games on the platform. 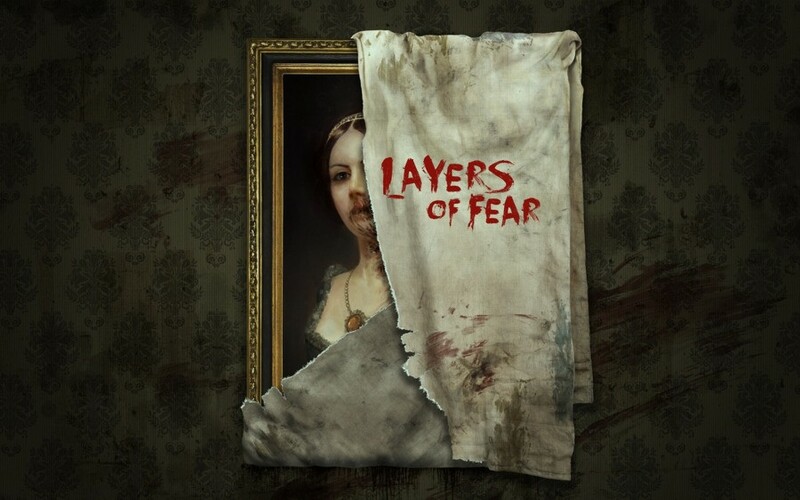 I've heard really good things about Layers of Fear since it launched. I completed it on Xbox One when it originally came out and all said it is a great game that never truly lets you feel comfortable with your environment. That said there a few technical issues like a little bit of a shoddy framerate that kept me from enjoying it as thoroughly as I would have. If that is sorted out this is a must get for horror fans in my opinion. So glad to hear they've implemented gyro and hd rumble. As long as the frame rate is reasonable, I'll be picking this up! Looks really interesting. Will give it a try. @crackafreeze Clients : in case you're adblocking it, they're the homepage ad. Happy they brought up their love for Eternal Darkness. That game was so good, and I am always delighted when it gets a mention. Just a tip, interviews are far more interesting if they don't simply consist of a list of premade questions. With premade questions, you basically already know what the answers are going to be, and the end result is an incoherent monologue. Interactive questions guided by premade discussion topics, where you do a back and forth with the interviewee, are a lot more pleasant to read. It takes longer to do, but it's worth it for the interviewer, the interviewee, and the readers, too. @Donutman @Blueberry I was like "Bloober Team", I heard that name before and then yeah it all came back to me too, the black and white trailer and all. Always felt like vaporware to me, though a demo of Raid over the River for the DS, also by them, exists, but that game got cancelled too. Great interview guys. I think I'm gonna buy this now, I always loved horror games with Silent Hill 2 being one of my favorite games ever. This game seems to capture a lot of SH elements with a pretty interesting story. Horror games have just never really appealed to me. Same with horror movies. I am not really sure why. I just don't get much enjoyment from them. They don't feel fun or interesting to me. Again, not really sure why. @Ntanolas doom is awesome. I was playing it on my PS4, but I sold it to get on switch. Even better just because I can play anytime anywhere. I got this when it originally came to the PS4. The FPS were so bad I could only play an hour. Then never went back. I presume this will be at 60fps on the switch? If not, it's a hard pass from me. @Blueberry Haha, to be fair that's Nibris you're thinking of, Bloober Team was some kind of affiliate or subsidiary. Although now they're solely independent, and releasing legit products, unlike Nibris whom are long dead. Are there any plans to bring Observer to the Switch? I've been waiting for a good horror game on Switch, I'll definitely check this one out. Also, I lost it when that kid leveled herself in the trailer. The reviews on other platforms are not convincing. weave mes awone prease. eye too scard.